Home / Blog / The Best of SAI: Choosing a Host City For YOU! Ciao everyone! So it looks like you’re interested in studying abroad! Of course you are! Let me guess, you’ve read some articles, talked to your school about realistic options for your major, maybe stalked your friends photos from their study abroad experience…You’re starting to get overwhelmed with options. So now what? 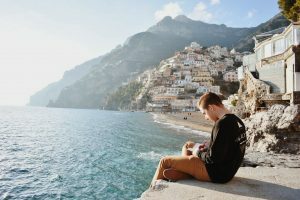 There are seemingly endless options for which city to study abroad in and tons of information on the internet, but I’ve found that one of the best ways to choose a program that is a good fit for you is reading about other student’s experiences and why they may have chosen the program they did. SAI offers study abroad programs in 8 different cities throughout Europe, each with amazing and unique academic programs and specialty classes that are specific to that city. You can browse the classes and programs on the SAI website, but let’s get real, you want the scoop from real students! Here I have compiled a few of my favorite student blog posts from each of our 8 locations for your browsing pleasures. Let’s have a look, shall we? Florence is where I studied abroad with SAI, so it is a city I hold near and dear to my heart. I have so many incredible stories and memories from my time at FUA, and can truly say it was an experience that changed my life… and my taste buds, forever. If you’re interested in art history, fine arts or food culture, our programs in Florence may be for you! This is an absolutely beautiful small city that you can get around entirely by foot (and walk off that pasta). Here are our favorite student blogs from Florence. An amazing city full of art and culture, and the best hands on history you can get from just walking down the street! Rome is a very popular study abroad destination for good reason. With a variety of options between our 2 Rome programs, you are bound to find something you like in the heart of Italy. We have 4 different programs to choose from in Milan, the fashion and design capital of Europe! Milan is one of the biggest cities in Italy, and has a TON of amazing highlights for young people. Plus, if you’re interested in art, fashion or design…this is a city you cannot miss. Siena is a beautiful small city just an hour outside Florence. You can definitely feel the small town vibe from Siena and get to know the city very well. 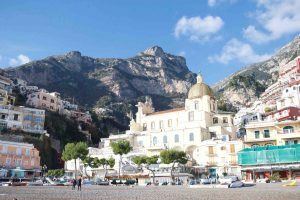 This program is designed for those really wanting to get a taste of Italian culture, and learn the language well. 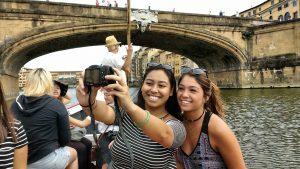 Students in Sienna stay with a host family for a full cultural immersion experience, which helps in learning the language and being a part of Italian culture, not just a tourist. Our program at Syracuse Academy is our only Sicily program, and while it’s pretty new, it’s well loved by those who are familiar. This program offers classes in history, landscape, migration, Mafia, food culture, Italian language, and much more! You will be a part of a tight knit group of students in a smaller program than the major cities offer. If this sounds like something for you, check out staff member Kelsie’s blog on this special place! Barcelona is the host city of our only 4 Spain programs! Barcelona is an international hub, and a travel destination for many people all over the world who are looking for a good time. There is a TON of culture in beautiful Barcelona, plus the architecture is amazing. If you want a fun, beautiful, big city vibe to live in, Barcelona would be great for you. Check out this students take on how to live like a Local in Barcelona! We have 5 programs in Paris to choose from if you are interested in studying in the “city of lights”. Paris is an amazing location to study and thrive in a large, fast paced city. Here is one of our students insights from living in Paris for a semester! OK. So you get the point. You have options, and good ones at that! 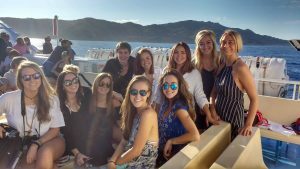 You’ve read blogs from real students sharing their real life experiences abroad, and hopefully you can picture yourself at one of more of these programs! Now it’s up to you to decide what your priority is, and what you really want from your study abroad experience. If you want to read more blog posts from a specific location, just go to our SAI blog page and click on the city that interests you most! Remember, no two people will ever have the same study abroad experience, and it is entirely what you make of it- so use your time wisely, be open to the change, and enjoy immersing yourself in an exciting new place! Camille was an SAI Florence spring 2017 student from Muhlenberg College. She is now an SAI Ambassador and summer 2018 SAI intern.